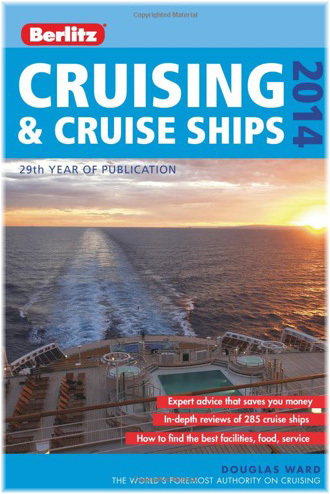 One of the sure signs of autumn is the annual of the Berltz Guide to Cruising and Cruise Ships by Douglas Ward. This week, we have a look at changes to the enlarged 2014 edition. 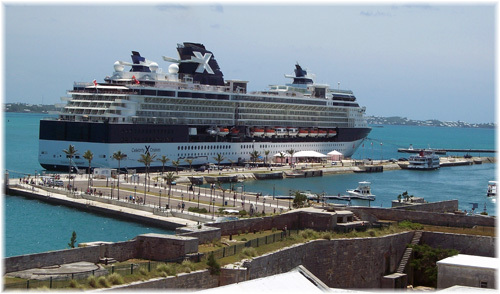 Elsewhere, Bermuda, having lost Holland America Line as a regular client last year, has now voted to allow cruise ships to operate casinos in port overnight. Finally, at the request of travel agents, Carnival Cruise Lines has acquiesced and reinstated the paper brochure that it relegated to the dustbin five years ago. With the world cruise market now having reached 21 million passengers, of which more than 13.5 million are North Americans and 6.26 million are Europeans, where can people go to make sure they choose the right ship? Specialist cruises are discussed too, such as Antarctic explorer vessels, around-the-world cruises and even freighter travel. This unrivalled detail is complemented by a vast number of tables and checklists, colour photographs and maps. This year’s top-scoring ships, and the only ones to score five-stars-plus, are Hapag-Lloyd Cruises’ 516-berth Europa 2, in first place, with 1,860 out of a possible 2,000 points, and 408-berth Europa, in second place with 1,851 points (see The Cruise Examiner, September 16, 2013). Among new trends, Ward sees an upsurge in river cruising. River cruising is covered extensively in this new edition – and Ward is reported to be working on an independent guide to river cruising. There’s also an array of new features dedicated to the latest news in theme cruising—from Big Band and Country & Western to culinary and astronomy voyages; a new chapter on first-time cruising; more answers to what the brochures don’t tell you; an enlarged cuisine chapter with more about healthy eating and self-serve buffets; updated information on new ships arriving in 2014; and updated content on the major cruise lines, including Carnival, Costa, Cunard, Holland America, MSC, Norwegian, Princess and Royal Caribbean. 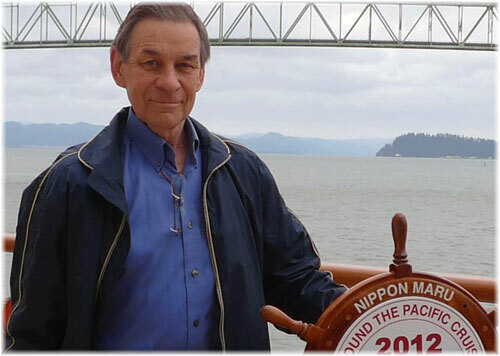 In a 47-year career that has seen him log some 5,900 days at sea on more than 1,000 cruises, Ward has earned a reputation as an honest and meticulous evaluator of cruise ships – “from large to small, from unabashed luxury and exclusivity to ships for the budget-minded, new and old” – and their services, and, most important he says, whether they meet their customers’ expectations and provide good value. In addition to evaluations and ratings of 285 ships, the new edition covers many other issues of interest to potential cruisers (and travel writers), and several, Ward suggests, have particular topicality. Some you may be happy about: more theme cruises; more sophisticated (and costly) spas and well-being treatment options for the health conscious, and some you may not be happy about, such as more “pay as you dine” venues and extra tariff restaurants with increasingly high prices. Cruise choices may be limitless but Ward says many new cruisers don’t ask their booking agent enough questions, particular when it comes to “hidden costs” (for example, Internet or Wi-Fi charges and recognizing that once you leave port you’re locked into the ship’s digital network—and its costs) and getting information on exactly what is and what is not included in the cruise price. “That’s like asking how much sand is on the beach,” Ward says, and understanding that also figures into one of the book’s primary themes—outlining ways in which the cruiser can save money. All-inclusive, for example, doesn’t include spa treatments, or dining in extra-cost ‘specialty’ restaurants. Many cruise rip-offs are identified in the book, including on-board currency conversion; extra gratuities; high cost transfer buses (they used to be free) —and bottled water, among others. And Bingo cards on board ship are overly expensive. Bermuda’s Parliament has given the green light to cruise ships keeping their casinos open while remaining overnight in port in Bermuda. Parliament defeated a similar proposal in 2009. Members of Parliament approved the Cruise Ship (Casino) Act 2013 allowing cruise ships to open their casinos during the evening while docked in Bermuda. In exchange for this freedom, the government will levy a license fee for ships carrying more than 2,000 passengers. Casinos will only be able to open between 9 pm and 5 am and only for passengers, not for residents of Bermuda. Proponents argued that most cruise ship passengers are back on the ship after 9 pm, so the casinos do not compete with local attractions. They also argued that the change would help keep Bermuda competitive with other cruise ports. Opponents said local bars and restaurants could suffer, as fewer people would leave the ship in the evening. Bermuda is experiencing a 20% decline in cruise ship visits this year, with only 128 ships expected to call in 2013, down from 161 last year. Almost all of this loss can be put down to Holland America Line, which switched its 1,348-berth Veendam from the New York-Bermuda run to the Gulf of St Lawrence trade at the end of 2012. The Veendam was the last cruise ship to dock regularly on Front Street in Downtown Hamilton, the others having to dock out at Dockyard because they are too large for the channels leading to Hamilton. Meanwhile, Bermuda is planning to hold a referendum on shoreside gambling in the near future. While there is some opposition to such a move, others point to casinos as a sure-fire way of attracting new hotel investment, creating jobs and boosting tourism. And, who knows, the odds could be better than on the ships. Responding to longstanding pressure by travel agents Carnival Cruise Lines has finally said that after five years of not having one, it will print a brochure. Agents will be able to order them next month and they will be shipped by the end of the year, in time for January’s so-called Wave season. Agents suggested content through the Carnival Conversations feedback program launched in July. Carnival stopped producing the printed brochure in favor of an online version, but many agents have always said that they prefer a physical copy. 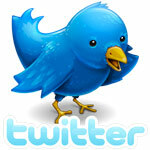 Since July, Carnival has met more than 2,000 agents in road shows that began in New York on board Carnival Splendour and went on to New Orleans (Carnival Elation), Port Canaveral (Carnival Sensation), Tampa (Hyatt Grand), Charleston (Carnival Fantasy) and Miami and Long Beach, as well as in three virtual shows that were made available online. More sessions are planned for Chicago this week and Dallas and Galveston as is one more virtual session. Based on travel agent feedback, Carnival has now announced more than a dozen changes to its practices. They include a new streamlined fares structure, opening very low “interline” rates to agents, as well as dealing them in on last-minute discount fares for personal travel; making deck plans more accessible by pdf, and extending the window for transferring a client’s direct booking from Carnival to an agency from 30 days to 90.